Somehow, the tagline "Life. Well spent" just didn't cut it. Here's why. For Sears, the tagline “Life. Well spent” ultimately didn’t resonate with its consumers. The time customers spent in the stores? It was time that wasn't well spent. 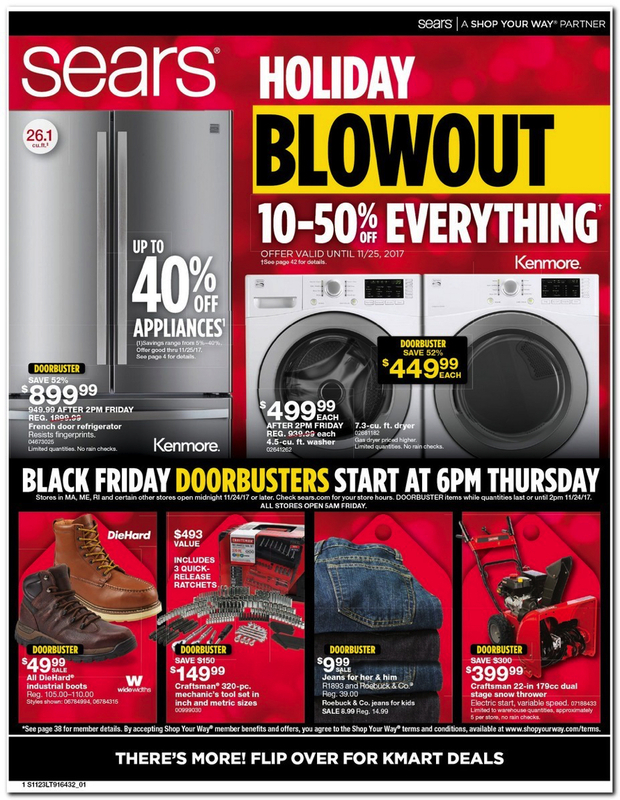 Sears's marketing dollars? Those weren't well spent, either. An initial brand impression is pretty much the only opportunity a company has to pull a customer in. Over time, it needs to reinvent its brand without losing its core mission and identity. To evolve ahead of the curve, the brand needs to know the appropriate time to push fresh concepts, recapture its customers' attention and bring the brand back into relevancy. One of the first problems with Sears is its drab, out-of-date branding. Its logo hasn’t seen a serious update since the '80s, and Sears’s most recent rebrand -- nearly a decade ago in 2010, when the “Life. Well spent” tagline was introduced -- fell flat. The Sears logo and brand presentation dated the company backward during a critical period of growth in a competitive space. Because logos can often be the very first brand impression people see, it's critical for a company to continuously evaluate and reevaluate its logo. Does it resonate with customers? Does it remain true to the company's core identity while still being current? Are the associated brand elements easily understood? Modern updates to a brand identity, especially the logo, can help a brand maintain old relationships and capture the attention of new brand loyalists. In addition to continuing to use a logo that doesn’t communicate the identity of the brand, Sears’s print materials and brand promotional strategy are outdated and lacking in customer connection. Take a look at these two holiday ads from Sears and Target. You can see from these two ads that Sears defines its customer as male, but doesn’t feature any graphics or quality messaging. The overall feeling from it? Stale and boring. The Target ad, on the other hand, is interesting and effective and connects to its target demographic tenfold. The message “gifts, décor and way-way more” nails the messaging and the visuals presented in the ad. So, don't be like Sears: Don’t let the basics of your marketing fall to the wayside. Have a clear idea of who your target consumer is, and create visuals and messaging that speak to that person. 3. Your store experience is an extension of your brand (even if your “store” is online). Aside from the branding elements that connect a company’s identity to the consumer, the brick-and-mortar store experience is an extension of that identity and needs to be engaging. With so many retail spaces adding fancy elements like coffee bars (Target), mini cafeterias (Ikea) and beautiful restaurants (Nordstrom), consumers expect an elevated experience with a touch of luxury or entertainment value as they shop. However, when you walk into a Sears, you see a dreary, disorganized mess with fluorescent lighting and disconnected merchandising. I went to a Sears with my parents a few weeks ago to buy a fridge for their new home. And I found the experience underwhelming; we couldn't wait to get out because the place was messy and disorganized. A store’s layout should take you from category to category of product with a seamless, intuitive transition. For example, stores like Target offer layouts that feel natural, fresh and inviting. People want specialized-feeling experiences, and store layouts that feel non-commercial. Even if your “store” isn’t brick-and-mortar, customers should still get that same feeling of seamless, intuitive shopping. The highest bar to reach for? Social media memes about overspending on your product because the user and consumer experience was so natural. 4. Embrace partnerships and influencers. Another of the many branding mistakes Sears made was its lack of on-trend partnerships. Stores like Kohl’s have partnered with celebrity influencers like Lauren Conrad to offer quality branding for less, creating a higher perceived value for everyday products. Sears, in contrast, still carries the same old brands of appliances, mattresses, etc. Had it pulled in complementary brands or influencers that were trending up, the company might have recaptured some of its fleeing customers. One of the most lucrative partnerships Target ever launched was Magnolia Home, the brand of Chip and Joanna Gaines from HGTV’s Fixer Upper. The partnership continues to capture its core audience and has made Target a home shopping destination for the best “affordable designer” product you can find. The area is merchandised beautifully and pulls you into the “Magnolia World” immediately. The key here is to find the influencers your target market is already listening to, then to create a partnership that feels like a natural fit. Embracing the influencers and brands that are already part of your audience’s world will benefit both sides of the partnership and offer added value to your customers. Related: Sears Closes Shop and Superhumans Are On the Way. 3 Things to Know Today. Sears Closes Shop and Superhumans Are On the Way. 3 Things to Know Today.